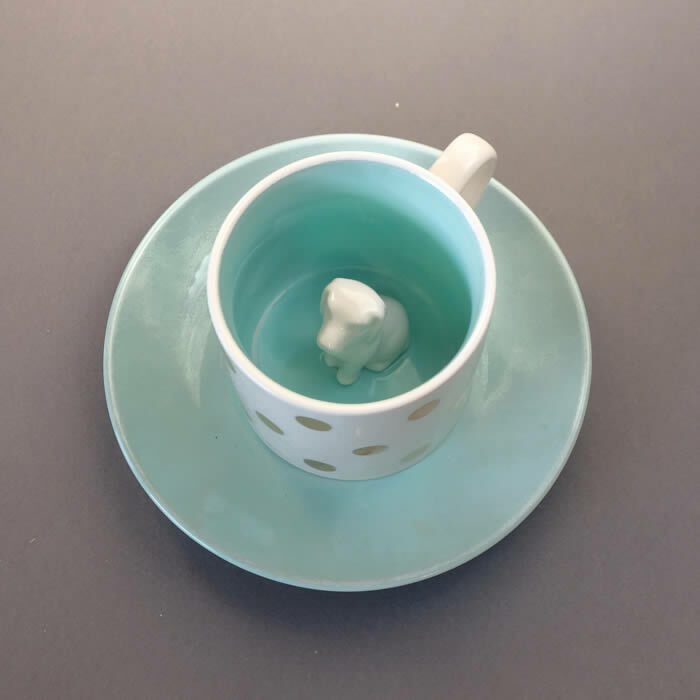 The hidden animal mugs by Disaster Designs can be great way to surpise and delight your tea party guests. 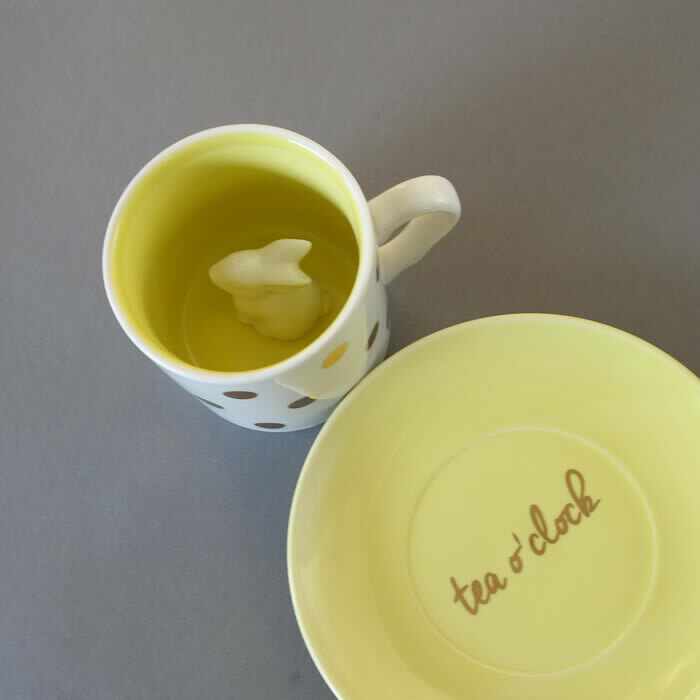 All cups are made from porcelain and they feature gold metallic polkadots and matching saucers that read tea o’ clock. 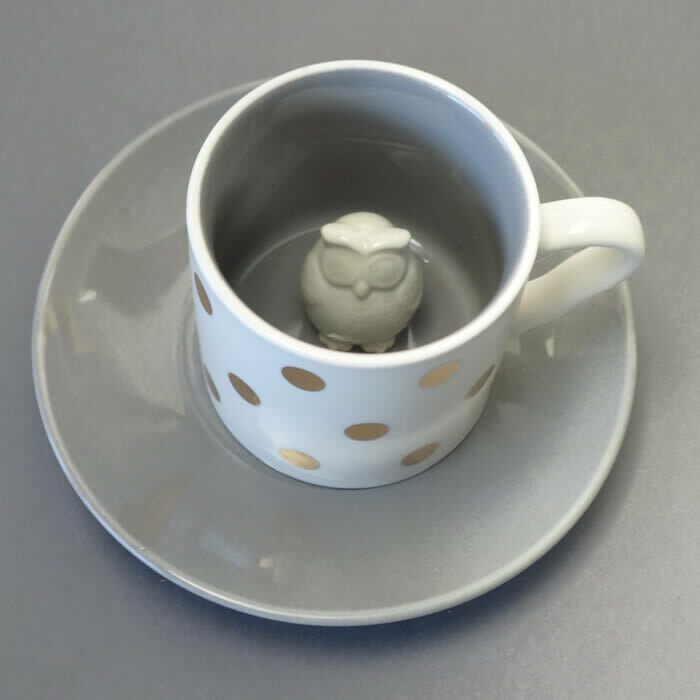 The hidden animal mugs make a fab gift idea to all the tea or coffee lovers who appreciate beautiful tableware with a quirky touch. 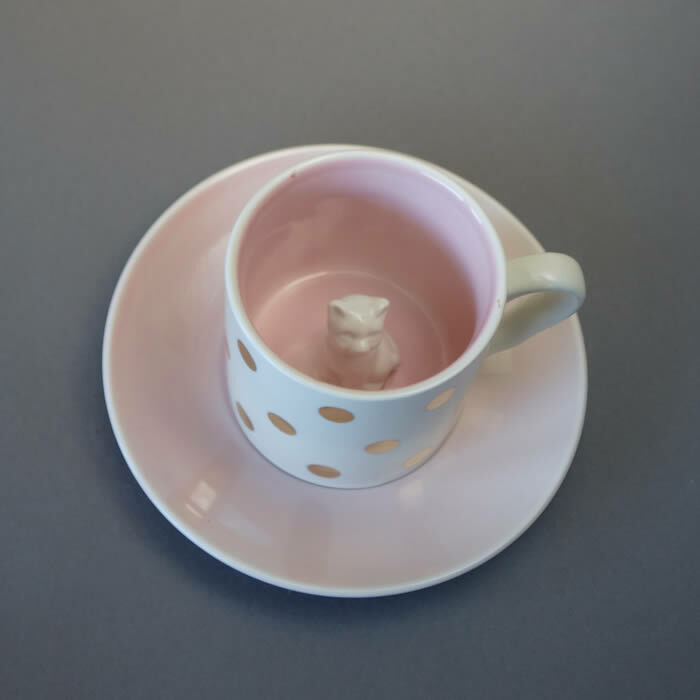 Animal surpise mugs can also make breakfast fun for the little ones and bring big smiles with every sip of their milk. We are currently having Free UK Delivery plus 10% OFF your first order.